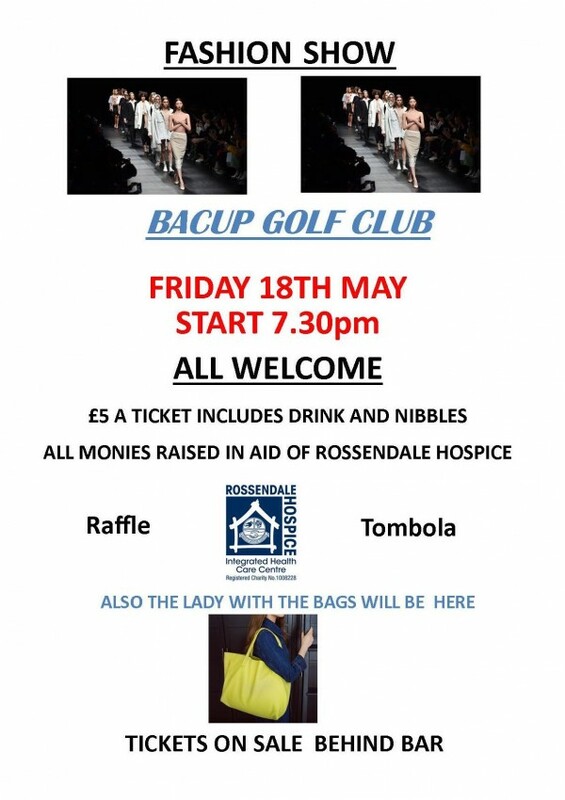 Bacup Golf Club are holding a Fashion Show and raffle on the 18th May. Tickets cost £5 each which includes a drink and nibbles and can be purchased from the Golf Club. All are welcome and all monies raised are being donated to the Hospice.